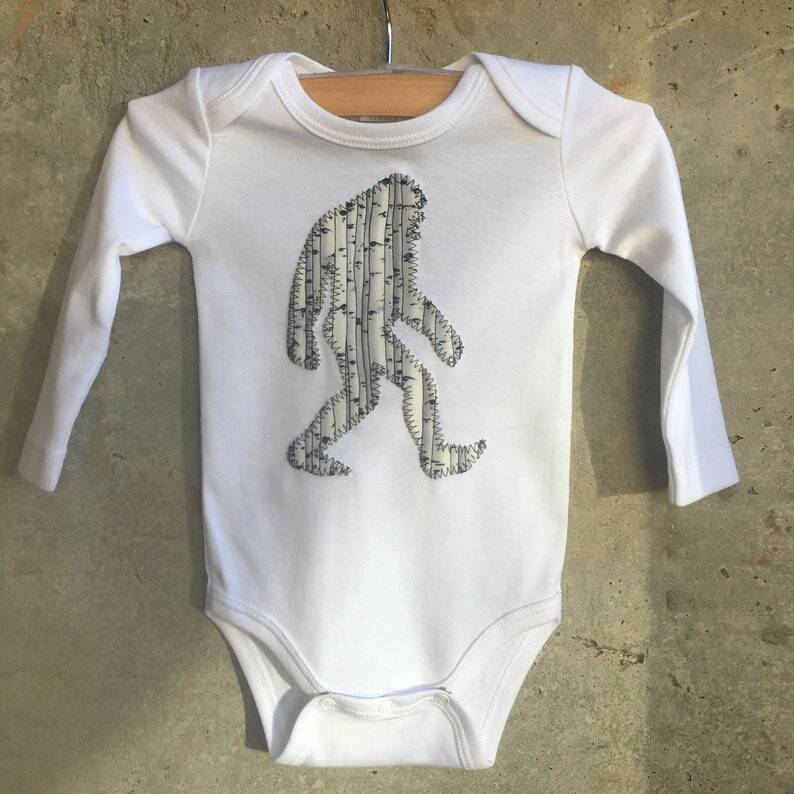 A boutique quality Bigfoot shape appliquéd baby bodysuit. Perfect as a baby shower gift or something special for your child to wear at their next birthday, special occasion or photo session. Can you see the bigfoot for the trees?! - Wanting this in a slightly different design? Add a matching pant, skirt or tutu? • You will receive the hand cut and machine stitched Bigfoot on a new baby bodysuit in the size and color of your choice. * We use American Apparel, Primary and Colored Organics baby bodysuits. Please contact us if you have specific sizing questions.